Probability is the measure of the likelihood that an event will occur. Probability is quantified as a number between 0 and 1, where, loosely speaking, 0 indicates impossibility and 1 indicates certainty. Know More about these in Probability Class 12 Formulas PDF with Notes List. 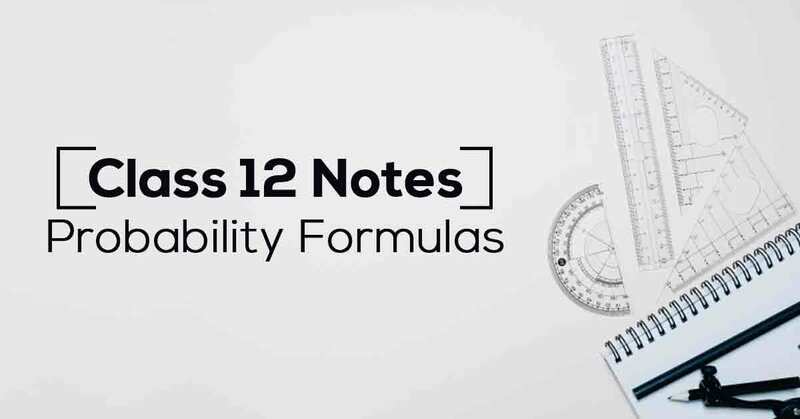 Download the FREE PDF of Probability Class 12 Formulas PDF with Notes and start your preparation with Vidyakul!